We interviewed over twenty afterschool leaders across California to hear their views on the current status of afterschool in the state and on what they see as important issues in the decade ahead. We will share some of the themes that came out of these interviews in this blog and in future posts. These interviews included leaders from large-scale afterschool providers, those involved in advocacy and policy work, Regional Lead staff, technical assistance providers, private foundations currently supporting afterschool programs, the leader of a large urban school district, a leading evaluator and researcher, and a leader in the new California Department of Education, After School Division. Several California afterschool leaders spoke of the growing conversation around extended learning time (ELT). It is important to be clear on the terms surrounding this issue. 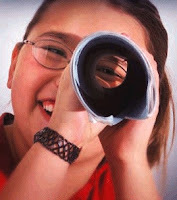 Some are promoting the idea of "extended learning opportunities" (ELO) . We interpret this phrase to refer to formal and informal learning opportunities that young people have access to outside of the formal classroom. This includes afterschool programs, summer youth programs, and programs offered by community institutions such as museums and libraries. What distinguishes these opportunities is that participation is voluntary, with many young people not involved for one reason or another. We use "extended learning time" to refer to the efforts by school leaders to increase the "seat time" that students are in the classroom. This is being accomplished in many different ways: shortening recess and/or lunch time, lengthening the school day, and/or lengthening the school year. ELT interventions are generally applied to all students. Some proponents have suggested the integration of community-based providers into this lengthened school day. This would fold in what we think of as afterschool program learning into the classroom. In many ELT models, there is no discussion of changing how teachers teach and students learn. In these models, research has shown little change in student learning. 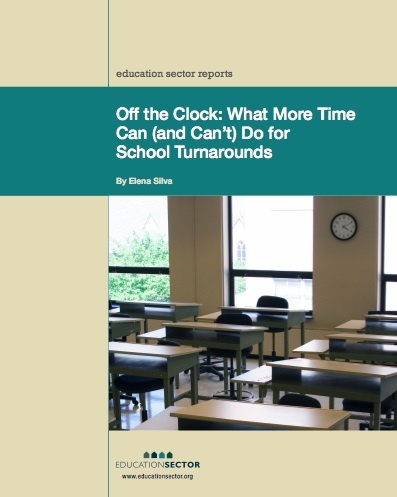 In other words, adding time for learning doesn't improve student outcomes unless schools change how they use this time. In California, which provides afterschool programs in over 4,000 schools, we are already greatly increasing extended learning opportunities. However, these opportunities are voluntary in nature so how will the idea of extended learning time or lengthening the school day impact our state system of afterschool programs? Is ELT right for California? And does it pose a threat or opportunity to the afterschool movement? We would suggest that this answer is different for states that do not have extensive or stable funding for afterschool programs - unlike California. We would also stress that afterschool programs need to improve the consistency of quality learning opportunities being offered. We believe that aligning programs with the Learning in Afterschool & Summer learning principles would be an important start. What do you think? 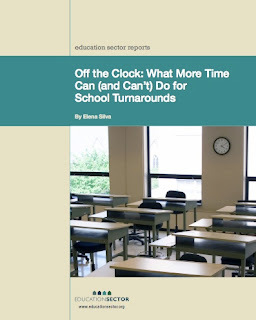 To learn more, see a recent publication entitled Off the Clock: What More Time Can (and Can't) Do for School Turnarounds and follow the conversation being sponsored by the Afterschool Alliance. Thanks for raising this important conversation. Coincidentally, we just posted a podcast on exactly the same topic - an interview with Jennifer Davis of the National Center on Time and Learning. In this conversation, Jennifer responds to some of the concerns raised by many in the afterschool field. Cathy Tisdale, CEO of Camp Fire USA response with a blog that emphasizes the importance of community partners. Check it out! http://www.developmentwithoutlimits.org/podcast/index.php or look for "Please Speak Freely" on iTunes.